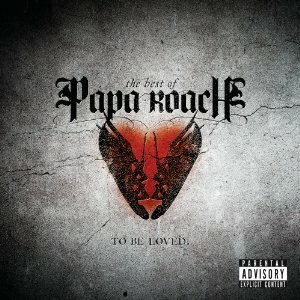 It interesting to think of an album comprised of one band’s ‘Greatest Hits’ seeing a release, yet not profiting said band in any way, shape or form, but such is the case for Papa Roach and “...To Be Loved: The Best of Papa Roach.” There is, however, a slight caveat to this release, as the album was released by the bands former home, Interscope Records, without the bands consent, following their departure from the label. You see, Papa Roach made the jump to Nikki Sixx’s Eleven Seven Music (Drowning Pool, Buckcherry, Motley Crue) earlier this year, effectively leaving Interscope in the dust. Having seemingly felt scorned by this, Interscope just went ahead and streeted “...To Be Loved: The Best of Papa Roach” against the bands own will. But again, it’s impossible to blame any modicum of this album’s shortcomings on the band. 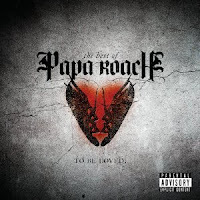 As far as “...To Be Loved: The Best of Papa Roach” goes, you’re better off listening to the band (who have been steadfast as of late in informing their fans not to buy this record because “they making no money off of the album's sales”) and passing on this record entirely. On top of the fact that it isn’t that good to begin with, you’re not helping Papa Roach by going out and buying a copy, so don’t, easy enough. Forget about this release and keep a look out for the bands upcoming release, “Time for Annihilation,” which should street at the end of August.